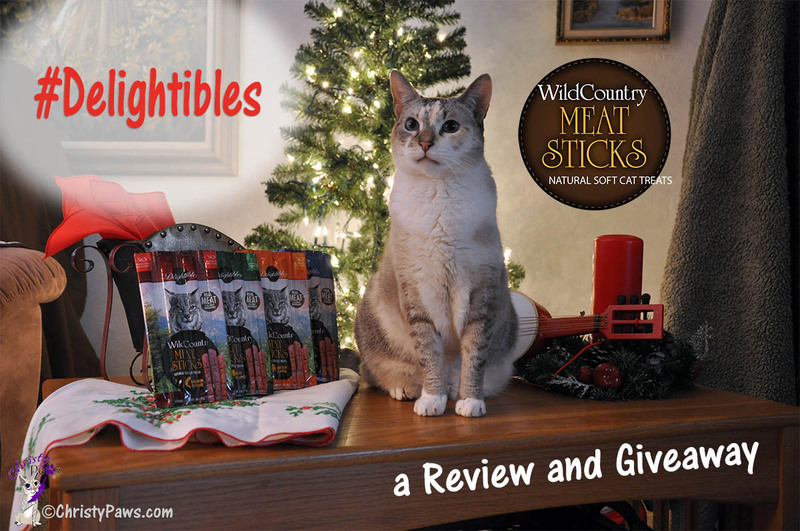 Sticking with Delightibles — Wild Country Meat Sticks, That Is! I’ve really enjoyed being a True Science ambassador for the past few months and getting to sample all of the Delightibles treats. Ever since mom brought home a sample of their Wild Country Meats from BlogPaws this past May, they have been my very favorites, but I’ll do just about anything for ANY of the Delightibles. When my True Science Ambassador box arrived at the beginning of the month, I had to tell my Facebook friends because I was so excited that I would be able to share a review of my very favorite treats — Delightibles Wild Country Meats.